Happy clients means everything to me, all my happy clients are the reason keeps me going shooting weddings year after year, I copied some of the reviews sent to me from my happy clients at my WeddingWire page, I am so proud to receive the WeddingWire Couples' Choice Award for 5 years in a row from my happy clients, you are welcome to see even more reviews at my WeddingWire page. Edward Dye was an obvious choice from the beginning. My now husband and I had a thorough research process for our photographer as we had a very specific style in mind. We both have been to our fair share of weddings whereby the photographer gets into the couples' face to capture 'the moment' or interrupts conversations, and we have also seen pictures where the moments don't seem authentic. Therefore we were looking for someone who can capture those organic moments behind the scenes and has an eye for the right settings without having to edit them too much. After coming across Edward's portfolio, we were blown away. We also loved his "client first" approach and wasn't trying to impose his style on us, but rather try to understand exactly what we wanted. We couldn't be more grateful for his professionalism, his flexibility, and most of all his top-class quality work. Ed is an incredibly talented photographer. The photos he takes look like they are worth a million bucks and deserve to be in Bride magazine! Seriously, all my guests can't stop raving about how amazing they came out! I found Ed through WPJA and I was just blown away with his portfolio. One of the things that drew me toward his pictures were the vibrant colors he uses and his brilliant eye for wide landscape shots. I wanted a photographer who would capture the stunning summer colors of the garden and the grandeur that our venue exuded. I reached out to Ed and he worked with my budget. I couldn't believe how reasonably priced he is for his quality of work. Moreover, the final payment is to be submitted a week AFTER the wedding which really helps when all the other vendors are basically due at the same time. He uses the best equipment out there and will hike up a mountain if you need him to, just to get the shot. Ed is very sweet and responsive via email. He answered any questions we had and listened to our vision for the big day. I emailed him a list of the photos I knew I definitely wanted and he took each and every single one. I also had an idea for some photos of the girls and I jumping on the bed with our robes on and he was more than willing to listen and try it out- he even seemed to enjoy shooting it as much as we did! He did not leave our side all day/night, and in the evening pulled us away for some incredibly stunning evening shots by the fountains. He got everyone to smile and look their happiest during our day and left us with roughly 700 beautifully edited photos on a flash drive. All in all, I would ABSOLUTELY recommend Ed to everyone. "Hiring Edward was hands down one of the best decisions we made when it came to planning our wedding. 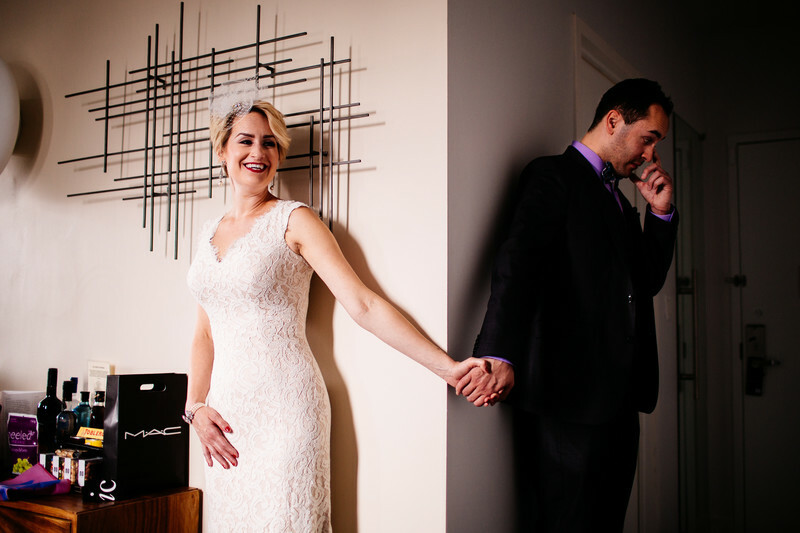 At first, while we absolutely loved Edward's work, we were unsure if we'd be able to make it work with our budget, but Edward was nice enough to tailor a photography package to meet our budget needs and we are beyond grateful that he did! During the planning process, Edward was also great to work with and was very helpful and prompt in answering any questions we had. Finally, the day of the wedding, Edward was AMAZING. We didn't even notice he was there, he was so unobtrusive, which was exactly what we were hoping for-- but when we got our photos back we were blown away!! Edward is a true artist who can tell in an instant what shots will work perfectly, and captures candid moments so beautifully. His lighting assistant was amazing as well. We have gotten so many compliments on the gorgeous quality of our photos and cannot thank Edward enough for capturing our day so beautifully! Finally, Edward is clearly passionate about what he does. When we first met with him, he said he loves to photograph weddings because he loves being around such joy and love, and that clearly comes through in his personality and his work. We cannot recommend him enough! Thank you Edward!!" "Wow, Edward just blew us away! We live in Toronto and found Ed in NYC to do our engagement photos. It was a dark, almost rainy day, my expectations were low but when we got our photos back we couldn't believe our eyes. Everything was full of colou]r and vitality. He really caught every single moment. During the shoot, we stumbled across one of those guys with giant soap bubbles in Central Park. Edward within a few tries caught the perfect shot. It was just unforgettable. To this day people talk about our soap bubbles. We asked Ed to come to Toronto and although he was already booked the day after our wedding, he flew north and did a spectacular job! He's very professional and courteous. I didn't hear a single person complain about him getting in the way. When everyone and their mother were trying to take a photo with their phone, Edward would say: "Ok ladies first, then me, then gentlemen." It was funny and we knew where to look at the right time. It kept things moving faster as well. When my mom brought our photos to Costco to get them developed, the staff were like: "Oh it's the couple with the Soap Bubble!" His photos really do make an impact. He has a very distinct creative style and his composition is unparalleled. I would know, I work in the Graphic Design field. Although Ed is moving pretty naturally through the procedures he has a very concrete plan that he shared with me, maybe I won't say much here for competitive advantage but there's a precision to him at a samurai level. There's no other photographer I would hire but Edward." "Hi Ed, Choosing you as our photographer was one of the best decisions we made for our wedding. The level of dedication and precision you exhibit when taking pictures is unparalleled. You were literally everywhere taking pictures and documenting our wedding weekend, but without us even noticing you being there. Our wedding day was incredibly long, but you were happy and energetic all day long. When we received the pictures, we were blown away. They are all so incredibly beautiful. We are so grateful for your amazing services. 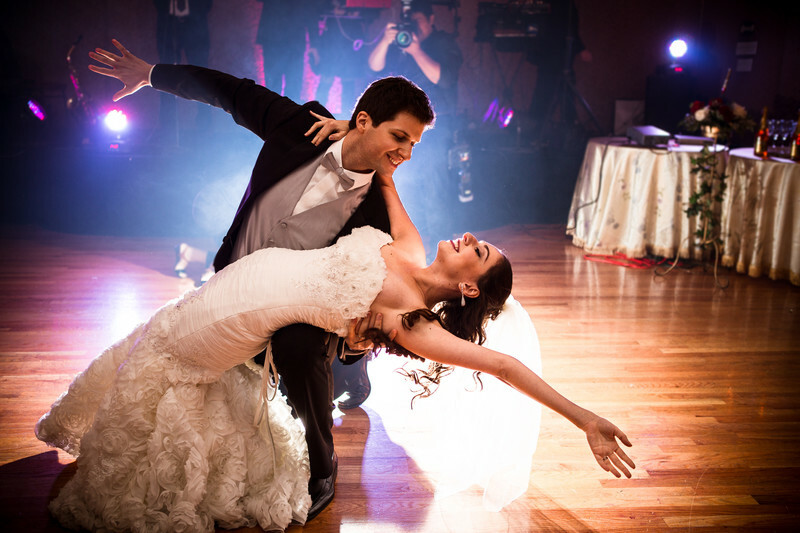 Your energy and sheer passion for your work was evident throughout our wedding. Thank you, Ed!!" "We were so very happy to work with Edward for both our engagement and wedding pictures. We were blown away by our pictures - they came out beautifully. We're still waiting for the rest of our pictures, as we were just married in early September, but what we've seen so far has been stunning. Edward is very easy to work with, he's responsive, flexible and professional. We would definitely highly recommend working with Edward!" "We had first found Edward through a friend who hired him for their engagement and wedding photos. We were so impressed with how their pictures came out, we knew instantly we wanted to work with him. We met with him firs to go through a portfolio of different weddings he had done, asked some questions, and shortly after hired him for our wedding. We would have hired him for our engagement shoot, too but we had a family member do our engagement shoot. We could not have been happier with the results of the photos. They came out stunning. Not only was the quality incredibly impressive, but Edward and his assistant didn't miss a moment. He captured every part of our special day, and we could not be more grateful. We happened to have an unexpectedly great sunset that night, and he made sure to pull us aside to take sunset photos, which came out STUNNING. 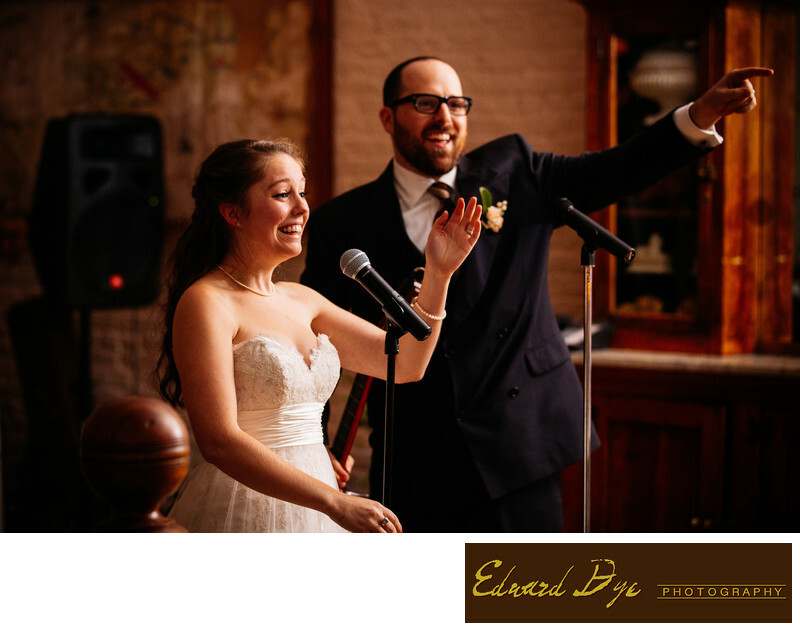 I would recommend Edward Dye to any of my friends getting married, and I hope to have more events in the future to hire him for!" 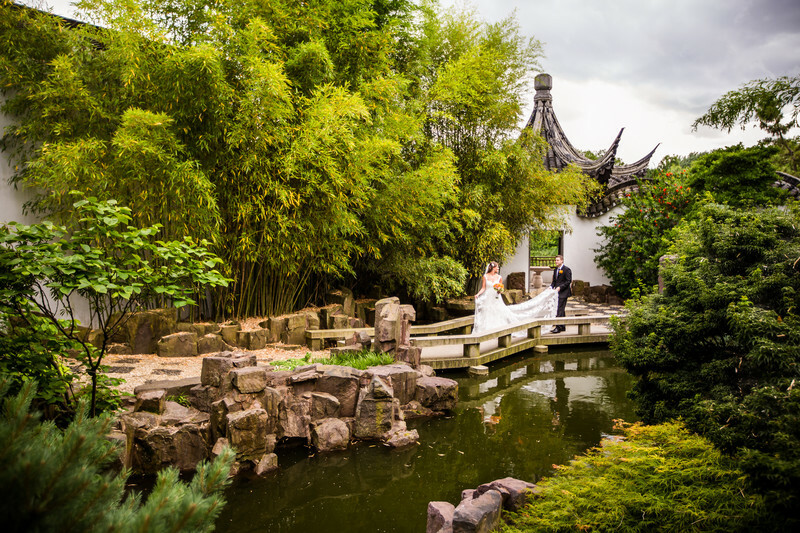 "From start to finish, our experience with Edward for our wedding photography was incredibly pleasant and easy! Edward was great to work; he has great professionalism and skills. We are so pleased we chose Edward as the photographer for our big day–we've heard nothing but rave reviews of our photos since. He captured our magical weekend beautifully and our only regret is that we didn't hire him for our rehearsal dinner as well! We want to thank Edward for capturing our wedding day and night so beautifully and allowing us to relive it over & over again through photos! " 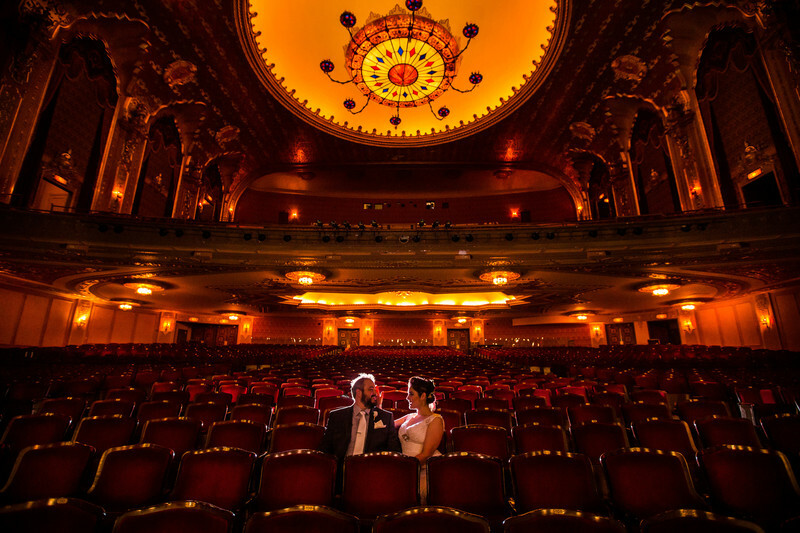 "Booking with Edward was the best choice we made for our wedding and his work is amazing! I can not commend him enough for all he has done he went above and beyond on our big day! When our big day came he and his 2nd photographer were so much fun to have around and so helpful! He did more then what was expected of on our big day! Both of the photographers have such a good eye for capturing great photos and so flexible with the craziness of our day. We love how amazing our photos came out! Edward you did such a phenomenal job!" "Hi Ed, having you as our wedding photographer was one of the best choices we made for our wedding day! You are not only professional, reliable, and prompt in your correspondence, you creates absolutely stunning photographic compositions. You captured the natural beauty of the moments on our special day. You artistically crafted the lighting and contrast to make each photo exude magic, in your unique style. Trust in your artistic vision, as you can make the most cluttered of backgrounds into something absolutely spectacular! You are so talented with your craft. We were beyond satisfied to have you to photograph our wedding!" "It would be a huge mistake to pass this guy up! Not only does he take stunning pictures, he truly captures the moment. We did engagement photos and a wedding package. After seeing our engagement photos we knew we had to upgrade our package. We live in NYC and had our wedding in Pennsylvania. Edward was in constant communication and very easy to work with. We had zero issues and Edward was always prepared. Edward's pricing is beyond reasonable, especially for the quality he provides. His work truly is a piece of art, look no further. Absolutely an incredible photographer!!! Us newlyweds, our friends, and family were definitely impressed." "Thank You from the bottom of our hearts Edward! You knew exactly what to do and where to go to capture background pictures of the Brooklyn Bridge. You captured our romance and all excitement of the day easily! You are a true professional with true artistic talent. What we loved the most: the very next day you posted a 50 picture sneak peak of our day on Facebook. I have to say if I only had those 50 pictures I'd be completely happy, truly! But you then sent us all the pictures from the day, start to finish and fabulous! we both feel very blessed to have found you and were able to get a booking with you! Thank you Edward!!!" "Edward came to the venue hours before the ceremony to walk around and find the best spot for pictures. The pictures turned out very professional and he captured the various emotions of us and our guests perfectly. He even captured the intricate details of our first dance and our various movements in the air. What I also liked about Edward was his unique sense of capturing moments that people did not even realize themselves until he gave us all the photos. If you are looking for a wedding photographer to capture all the little moments and emotions, I would recommend Edward. Great pictures and fun to work with!" "Dear Ed, Your photos are incredible!! Thank You so much for turning our special day into a beautiful memory! As we are looking at your shots, we are reliving all the nuances of our Wedding Day as if we are still present at last Saturday's celebration. Your pictures are that good! We shared these photos with our friends and family and they all love them so much! Please thank Larry, your 2nd photographer, as well as your assistant for helping you capture our Wedding Day in such an unforgettable way!" "My wedding day photography exceeded my wildest expectations. Edward was a complete professional, most of the time I did not even know I was on camera and the photos reflect how happy we felt that day. Edward captured every moment that made our wedding special without missing a beat, from the preparations to the cutting of the cake. His photography is art, plain and simple. I tell friends to contact Edward because wedding photos will be a lasting memory, so why wouldn't you want them to be a work of art? I am eternally grateful to Edward for his work." "We cannot thank Edward enough for photographing our wedding! We cannot stop talking about how wonderful he was--and, how unbelievably beautiful the photographs are. 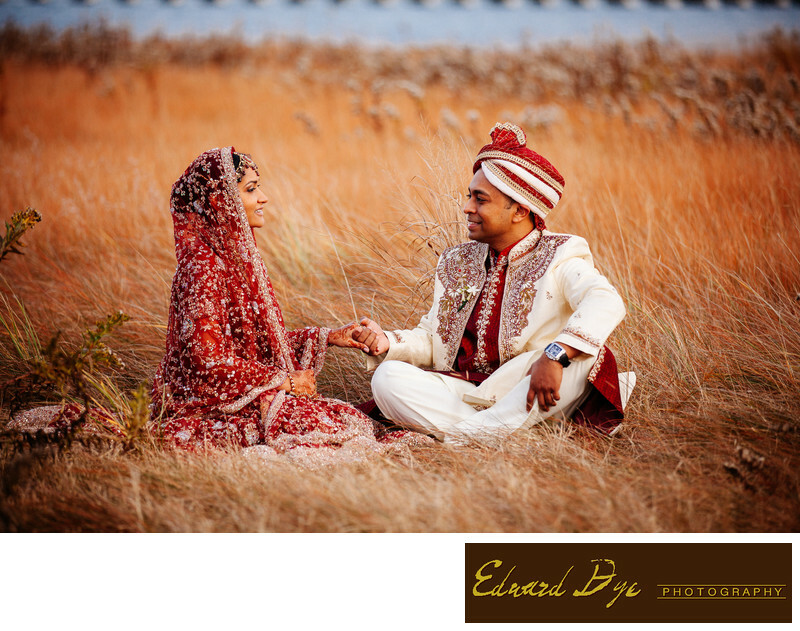 A complete professional, Edward met with us twice before our wedding day. He listened to what we were looking for and explained how he conducted himself the day of the wedding. He is attentive and responsive and truly listens during a discussion. He is also truly excited to be involved in a wedding day. Before meeting with Edward, we had completely fallen in love with his photo style and, after sitting and discussing his approach to weddings, we knew Edward had to be our photographer. Our photos are absolutely stunning--Edward's use of light is spectacular and he takes such care in making sure every photo is meaningful and beautiful while still being completely natural. During the ceremony, and through much of the evening, Edward went completely unnoticed still getting unbelievable shots from perfect angles. Edward is such a pleasure to work with--we couldn't have imagined letting anyone else in to photograph our day! Thank you!!" "Edward has a very artistic eye for wedding photography. He captures intimate moments and sheer happiness so well. He works with his team to catch the moments of your wedding day without being obtrusive to you or your guests. That's a rarity among wedding photographers. And he is professional and prompt. I really recommend Edward." "Hi Ed, Our wedding was the happiest day of our life together, we were filled with joy and surrounded by the people we loved most. You captured the most wonderful moments of our special day and the photos are breathtakingly beautiful. The photos reflected our emotions, as well as showed the love and bond we share with each other and our family. And some day, I would love to show these photos to our children. Thank you Ed, thank you for your amazing work. We feel very lucky that you were our photographer and I don't think anyone could have done a better job. " "Hi Edward you are great to work with. You captured really amazing moments throughout the wedding, and one of the best qualities of your work was your ability to use natural light to make everything look romantic and outstandingly beautiful. You always responded promptly to all emails and arrived early to the wedding; overall, very reliable, reasonable, and extremely talented!" "Oh my goodness, you're such an amazing wedding photographer!!! I absolutely love your work. You did all the work fast. What a pleasure it was working with you! I can't thank you enough, you did an amazing job. Thank you so much for sharing in the experience with us. You were so prompt with getting the pictures to us ASAP. 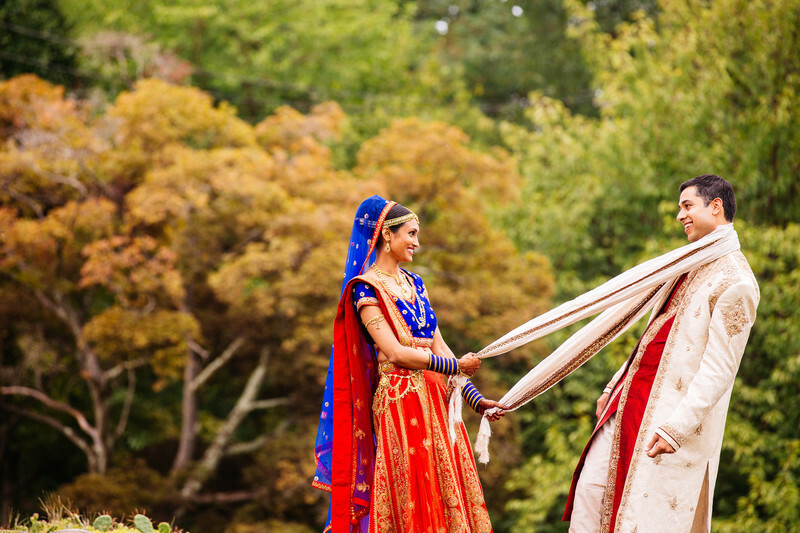 Thank you for blessing us with an awesome array of photographic memories of our special day." We were so lucky to have found Edward and booked him for our wedding. The photos we recieved back captured the exact feel of our wedding and provided us with such amazing memories. Edward was professional, innovative, detailed and thoughtful. He encouraged us to take shots we otherwise wouldn't have, and made sure none of our photos had a "posed" vibe. His artistc vision made our photos so special and he took notice to capture every moment I wanted. For the quality and price range, we couldn't have booked a better photographer... And certainly have no regrets! "Hi Edward, I can't say enough about you. you are so passionate and, frankly, just incredibly talented. Every moment of my big day was captured beautifully. Not only did you do wonders in my dark wedding venue, but had an uncanny ability to capture every precious moment in breathtaking ways. From your promptness and flexibility to your work ethic and incredible ability to capture every moment. As a woman, it is hard to find someone whose photos will flatter. I love every one, and I mean every single one from you! "